We’re a collective of award winning film makers who specialise in branded short form content across social media platforms and online. We conceptualize, produce, direct, shoot and edit, telling the story of your brand in an innovative and personal way. We are a well-caffeinated, well-traveled, partially tattooed group that actually enjoys having a drink or two with each other. It’s true. We actually like each other. We hail from all corners of the country and have gladly landed in sunny East London. From our Olympic Ring challenge on Mondays, to family band with the other studio's on our floor, we find that we do hang out with one another – our clients and other creative types – quite a bit. But we’re not just about our office antics. We generate ideas together, edit each others work and polish creative concepts until they gleam. We know if we can pitch and convince each other then we’re onto something special. Last but not least we love what we do and we want to do more. 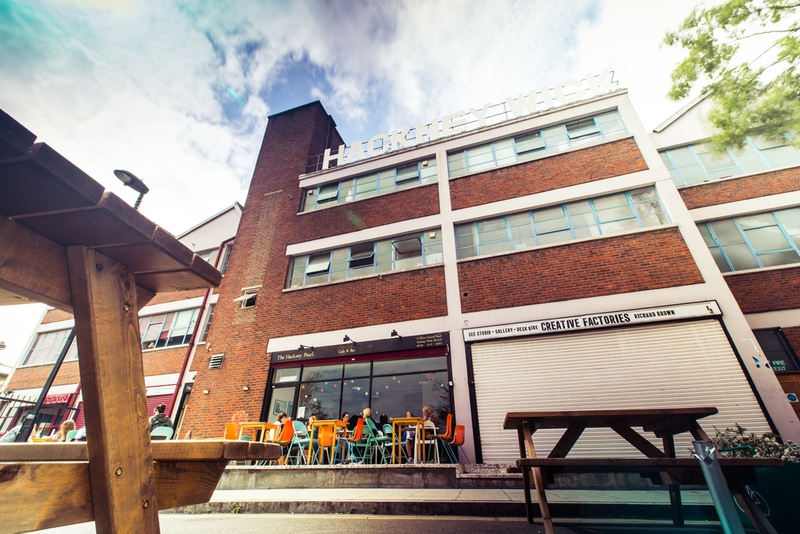 Our studio is in Hackney Wick, East London. Home to artists, creatives, bearded unicyclists, micro brewed beer, vintage bassoon cases, warehouse raves, lots of stuff made of pallets and great coffee. Pop in for a chat, drop us a line or send us something fun in the post. We'd love to hear from you.